The Kaijucast crew take on the Atmospheric Space Invader, Dogora! That creepy season is upon us, and a creepy monster from outer space dips its tentacles into our atmosphere to cause chaos and destruction. This month, our discussion focuses on Dogora The Space Monster (1964). 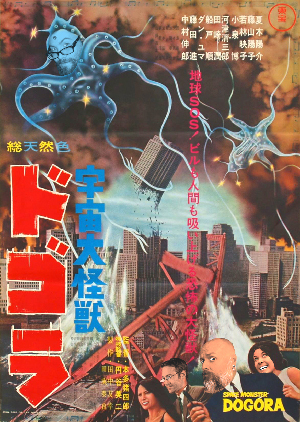 This is a lesser known kaiju film about a gigantic space jellyfish that comes down to steal our carbon (how rude!) but the army must stop the rampage. In some ways, it’s like Toho created another monster-on-the-loose film, but in many more ways, this movie is just a unique and bizarre beast of a flick. And to be perfectly honest, it’s not a great installment in Toho’s kaiju genre but we had fun watching this monster making his way through the skies of Japan (and the world). In addition to the discussion, we do cover some news items. Make sure to click on the links below to learn more about the articles we discuss in this episode. Don’t forget to enter your kaiju-themed costume in our first ever Halloween Costume Contest! The deadline to enter is November 2nd and the winners will be announced on November 10th! We have three categories for this contest: Adult costumes, Child costumes and pet costumes. 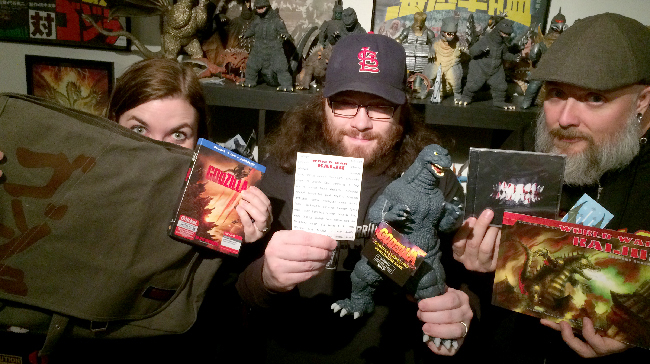 Some of these fabulous prizes could be yours, just enter you kaiju costume in our first ever Kaijucast Halloween Costume Contest! 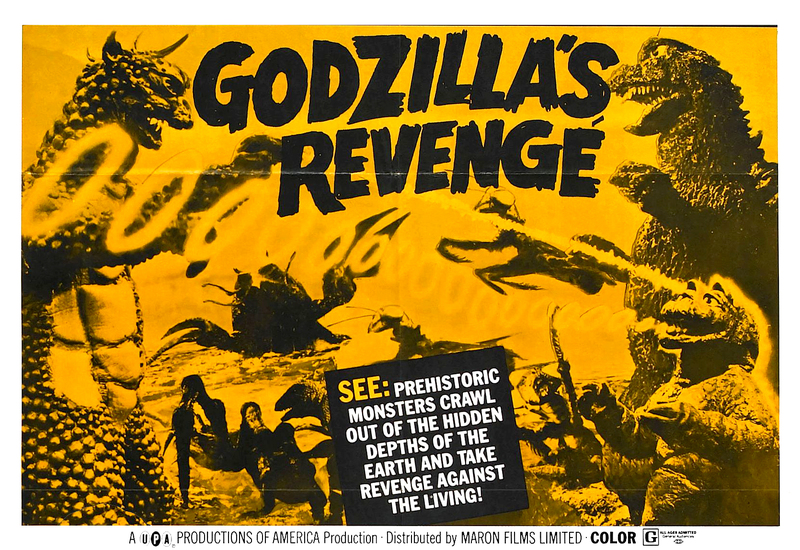 Our next film is All Monsters Attack (1969), which is better known as Godzilla’s Revenge here in the States. This is quite possibly the most disrespected Godzilla film on the market, but we at the Kaijucast know that Godzilla’s Revenge actually has a lot going for it. We are definitely looking forward to hearing your thoughts, questions and reviews on this entry in the Godzilla series, so make sure you turn in your “homework” before November 22nd to be included in the next discussion episode!